Did you know you can add a button to your Facebook page to take reservations or appointments? Allowing customers to book directly from social media is easy, and a great way to increase bookings. Start by logging into your Waitlist Me account and copying the unique link for your hosted Web Widget. You can find this at www.waitlist.me > Account > Settings > Add Yourself. The link will be at the top of the page. Next, go to your business’s Facebook page. Choose the Add a Button option on the right. Choose Book with you, and then Book Now. Select the Link to Website option, enter your Waitlist Me link in the pop up, press Save and then Finish. That’s it! 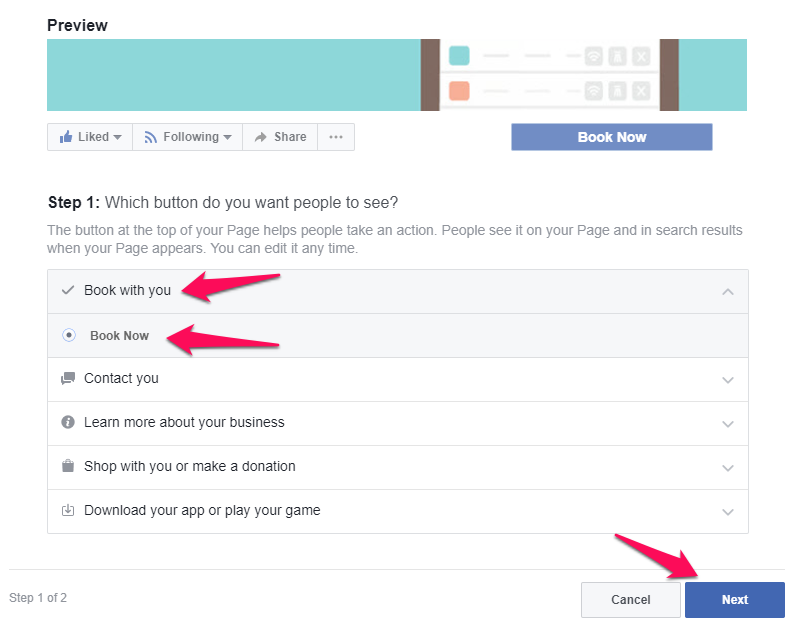 You now have your very own reservation (or appointment) button on Facebook.